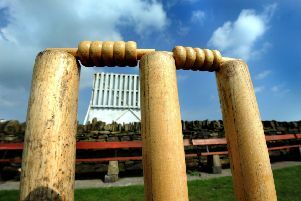 Percy Main Cricket Club begin preparations for the new season this weekend with a friendly against last season’s Wellstream Northumberland Tyneside Senior League A1 division winners Tynedale. The club, buoyed by a positive close season on and off the field, have strengthened the side with the capture of Dave Anderson and overseas player Mitch Reid. Anderson is a powerful left handed opening batsmen and useful right arm medium pace bowler who joins the Villagers from Consett. Reid is a young Australian right hand bat and leg spin bowler who arrives from Geelong Cricket Club. He is an exciting talent and both signings should strengthen the club’s batting line-up considerably. Barry Stewart remains captain of the first team and is excited about the season ahead. He said: “Last year was great winning the A2 and securing promotion at the first attempt, and A1 will be a lot tougher, however, we are all looking forward to the challenge. “We have a tricky start away to Swalwell, but in fairness I don’t anticipate any easy games this season. Percy Main will put out four teams this season including the midweek side and three over the weekend. Barry Errington has been elected second team captain and Paddy Rathbone and Andy Beer will lead the Sunday third team, with Rob Cooper again skipper of the midweek team.